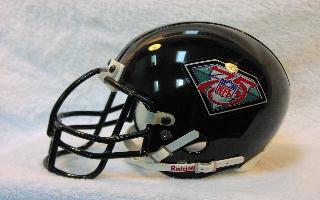 THIS IS ONE OF MY FAVORITE HELMETS. 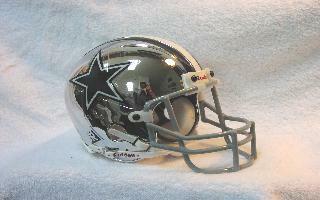 THE SUPER BOWL WINNER WILL BE DISPLAYED HERE, SO UNTIL THEN.......ENJOY!! 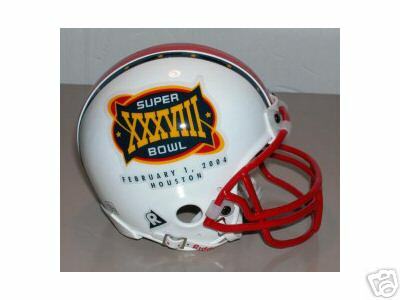 REMEMBER SUPER BOWL XXXVIII IS ON FEB 1ST, 2004! TO THE RIGHT YOU CAN SEE HOW I DISPLAY MY COLLECTION. 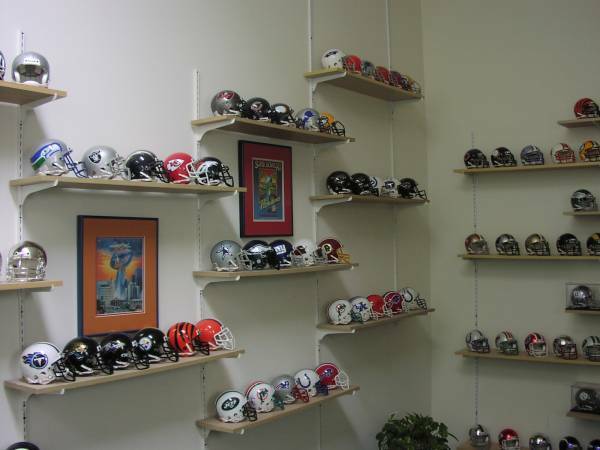 THE COLLECTION CONSISTS OF SHARCOS, CHROMES, CURRENT AND THROWBACK VERSIONS OF NFL, SOME AUTOGRAPHED, AND A SET OF NFLE. 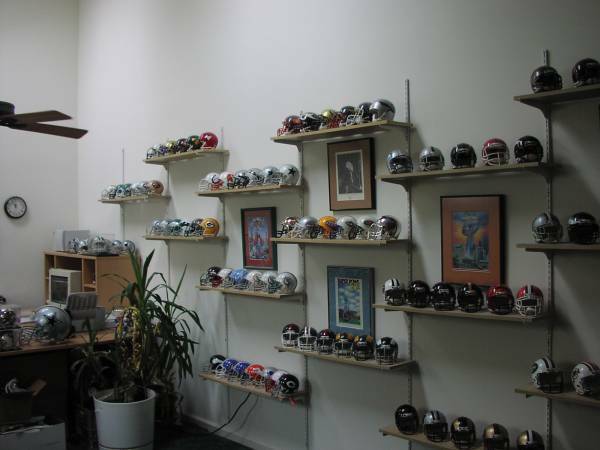 IF YOU ARE WONDERING WHAT THE PICTURES ON THE WALL ARE; THEY ARE MINT PROGRAMS OF SUPERBOWLS. I ONLY NEED 8 MORE PROGRAMS TO COMPLETE THAT COLLECTION, BUT GETTING THEM FRAMED IS GOING TO TAKE A WHILE. Some of the pictures are links to their websites. Check them out!